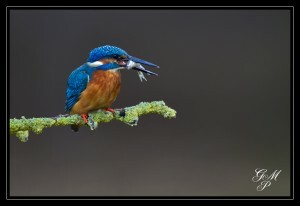 Really excited at the moment as one of my images (shown above) has been nominated for The Societies Nature Photographer of the Year award. The awards will be announced on Saturday evening at the Societies Convention Dinner which sadly I am unable to attend. So fingers crossed!!! For the forth year I am back in Skomer again. It is a truly wild but beautiful place. Sadly the weather has not been so good this time but once again the birds are just great. Managed to see a number of Little Owl’s as well as a few Short Eared Owls. For the first time ever I saw a Common Buzzard flying over the sea. Poor thing was being mobbed by gulls and Jackdaws. 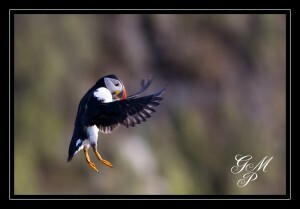 With over 60,000 puffins currently on the island taking pictures of them is not that difficult except when they are in flight. 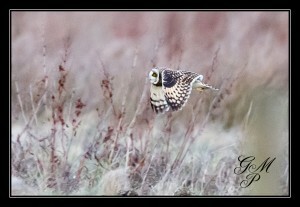 Today I ventured again over to Papercourt Meadows to try and capture a short eared owl in flight. Having arrived at 2:30pm it was completely dead until around 4:45 and then we got the first show. The place has become so well know with birders and photographers there must have been 30 or more standing around. It is incredibly frustrating as it seems that no matter where you stand the owl’s seem to be in another part of the meadow however on this occasion two of them decided to fly in my direction. At that point I was somewhat taken back and struggled to actually get the bird within the view finder. This was made all the more difficult as I was using a 500mm fixed focal lens with a 1.4 extender on a Canon 1D mk 1V so the focal length was 910mm making the field of view really small. 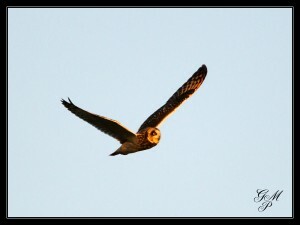 I did manage to capture this one that is reasonable and I like the way the setting sun was shining on the owl’s face. I have recently discovered an area close to where I live where there appears to be approximately 6 short eared owls living. From local birding contacts they appeared to have arrived some time in early November. Yesterday afternoon I decided to head out and see if I could get any shots. 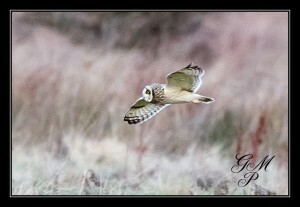 Unfortunately the lighting was not great and although I saw a number of the owls they were quite a long distance away. I think these two images are the best of the bunch. Wetlands & Wildlife Centre Barnes. As normal the weather over Christmas has not been very good which has been disappointing as I had 10 days off and wanted to get out with my camera and take some shots. I decided yesterday to head over to the wetlands and wildlife centre at Barnes even though the light was awful and the skies were very grey. I took my 500mm telephoto and thought I would at least practice trying to get some birds in flight. 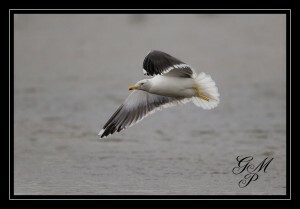 I was quite pleased with the result of this Herring Gull that I managed to bag. 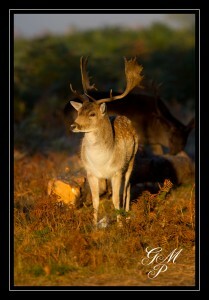 I had to dodge and burn a bit but think the result justifies the effort. Hope you think so too? I decided to get up early today to take advantage of a beautiful misty morning with a great sunrise. Even though I had to drag myself out of bed it was a truly memorable sunrise. 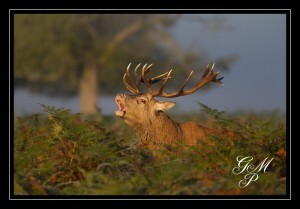 The one problem in Bushy park is the difficulty of getting a clean background and the sheer amount of photographers there. Today was unreal I reckon there was between 50 and 100!! 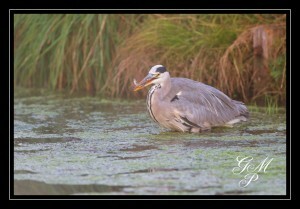 By luck I came accross a heron who was fishing. I saw him catch one fish but was too slow on the trigger but managed to grab it on his second time. Problem was that the light was very low as the sun hadn’t risen at this point so not quite as sharp as I would have liked! 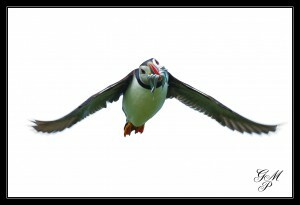 Just returned from a fabulous three days photographing sea birds on Skomer Island with a friend Dennis Read. 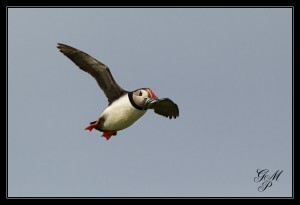 At this time of the year the Island is full of Puffins and Manx Shearwaters that have returned to the island to breed. No one actually knows where the shearwaters go after they have left the Island and to some extent the same is true with the puffins. 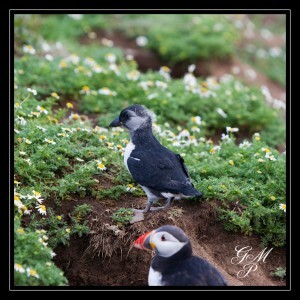 The Puffins and Shearwaters either use Rabbit burrows or dig their own where they lay their eggs and hatch their young. 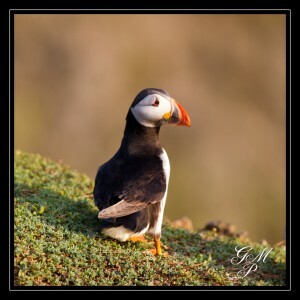 During July the adult puffins are out fishing for sand eels which they bring back to their chicks. The chick is called a Puffling and unlike the parents they don’t have the brightly coloured bill and has soft downy plumage. They regularly come out of the burrow where they flap their wings in preparation for when they fledge. As they approach the island Lessar Black Backed Gulls swoop at the incoming puffins to try and make them panic and drop the sand eels. The gulls are also joined by Jackdaws as well as herring gulls which means for the puffin they have to dive and swoop around to outwit the gulls etc. Approaching the island they will circle a number of time in “dummy runs” until they think they have a clear landing as near to their burrow as possible. At the last minute they will swoop down before performing a “stall” and then diving into the burrow. 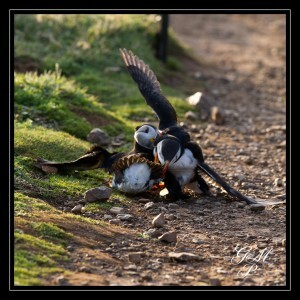 Normally the puffins are friendly with each other but sometimes they pick a fight with one of their neighbors. It appears to be fairly aggressive but they don’t seem to harm each other. There is no doubt about it but if you like seabirds then Skomer Island is the place to go. 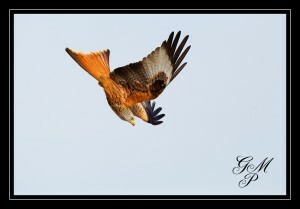 I have been wanting to take some shots of the fabulous Red Kite’s for some time now, however it would have mean’t a trip to Wales where there is a large breeding group. 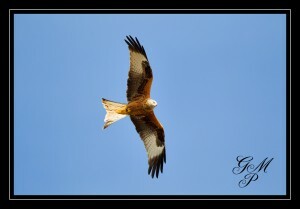 I had seen a number of Kite’s soaring around the M40 corridor near High Wycombe. 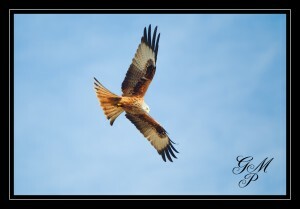 On a BBC program I had been watching recently I heard about a cafe just off of the M40 that regularly feeds Red Kites and was a photographic spectacle. So yesterday it was a nice day and I had managed to track down the location of this cafe. Apparently the Kite’s are fed at midday on Saturdays so I got there just after 11am. I grabbed a cup of tea and sat and watched a couple of Kite’s circling. Having finished my tea I noticed there now was about 6 Kite’s soaring around the cafe’s car park area. Seeing this I went out into the car par with my gear, I was using my Canon 1D Mk 1V with a Canon 300mm F2.8L prime as well as a Canon 70-200mm F2.8L Zoom lens. 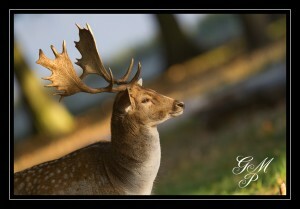 I took a number of shots using the 300mm but they were really too high.